CraftyRie: I had me an idea. So I've been thinking about what I make, what I can sew and who I can make things for. The list of things I can make is never-ending. The list of what I can sew, well, it's currently limited but I'm learning. The list of who I can make things for is short. ...then as I lay in bed one night (not sleeping), I had me an idea. 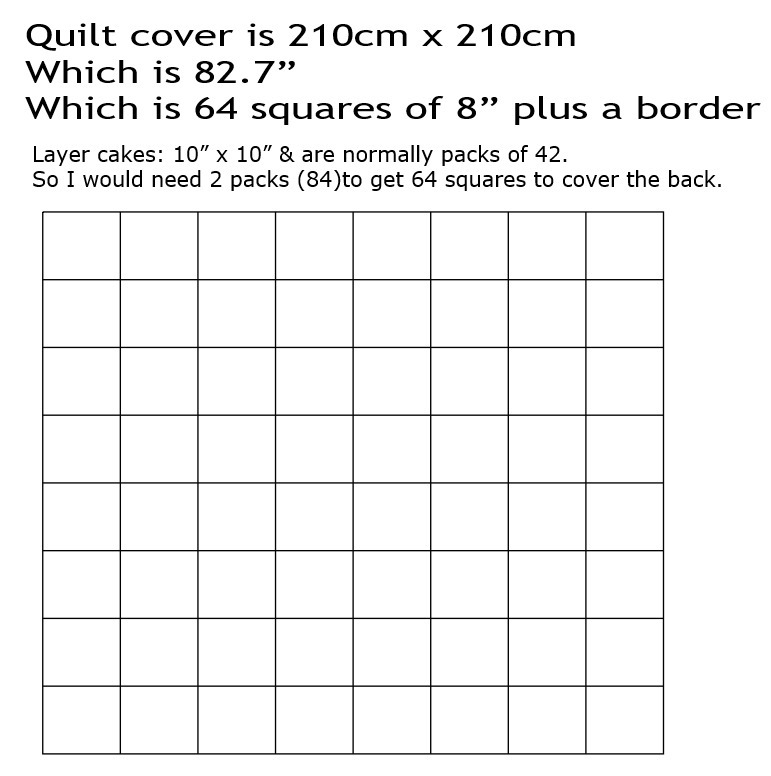 I'm going to make my Mum a quilt. You see, after the disaster of last years Christmas giving (but not with my Mum), I have no intention of making things for them BUT it does give me all that extra time & effort into making something special for people that, well, are nice. Also my Mum was telling me how they 'upgraded' their bed from a double to a queen size but she was still using her double bed blankets and she even had a blanket still on it from when she lived in Germany -- over 50 years ago! So as I lay in my bed, I developed a plan: I'll make a quilt by making blocks that have been 'quilted as I go', a bit like these pot holders that I made and LOVED making. I'll then join them together with a zig zag stitch then add borders to cover the joinings then add binding and voila, it should be done. Make sense? Is it do-able? I thought I'd use layer cakes as the backing fabric and use pre-cut batting like I'm doing for this sampler blanket (which I'm still slowly working on!). I need to remember that I should choose colours that my Mum likes but because this is a surprise, I will instead try to choose colours that she already has in her home ... greys on grey, blues, some salmony pinks. I'll try not to use anything 'cute' as I need to remember that my mum is in her seventies! Can you recommend any fabric lines or designers that may be suitable? ...also, I'm thinking of using it as an excuse to finally buy one of these cutters as I've been wanting one since they were first released! Do you have one, are they any good? So...how is my plan - is it workable? Am I on track? 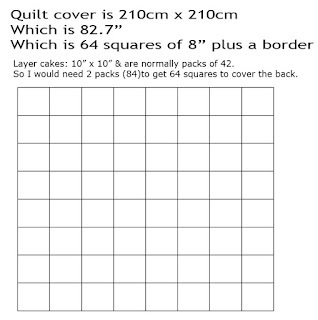 ....I've never planned a quilt before, so any help or advice is greatly appreciated!